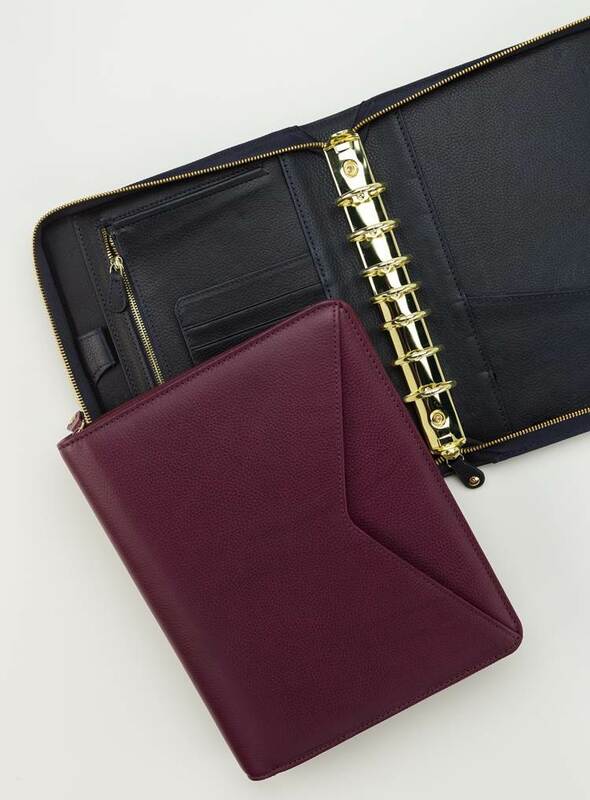 Pamper your plans with organized luxury and soft, supple, genuine leather inside and out. The leather has a pebbled texture for a beautiful look, yet remains smooth to the touch. 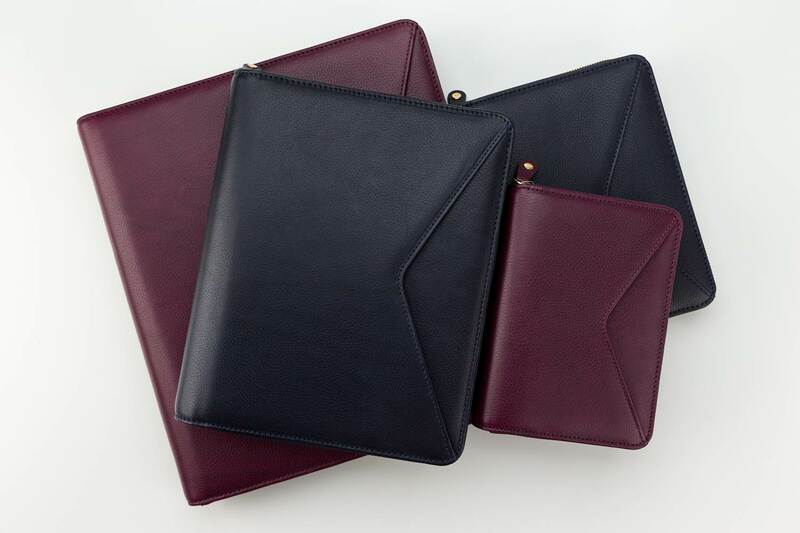 The outer front cover offers a slim document pocket with an angled cutout design, and you’ll find a similar pocket on the inside. You’ll love its interior organization with a zippered, gusseted pocket, document pockets, card pockets, and two pen loops. Gold accents, zippers, and rings add the finishing touches to the rich, luxurious feel, ensuring beauty and quality protection for years to come.